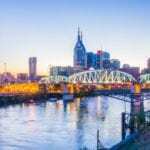 EXCLUSIVE – NASHVILLE, TN — The old adage that change is good rings loud and clear at Citizens Bank as they have experienced both a recent and major shift in leadership. The Chairman of Citizens Bank, Attorney Richard Manson spoke exclusively and personally with the Tennessee Tribune to shed light on the dramatic June 2, 2018 resignation of the endeared former President and CEO, Dr. Deborah Cole. In order to properly and correctly inform the community of the facts surrounding her abrupt departure, the bank chose to release the breaking news less than a week later with The Tennessee Tribune. Chairman Manson, made it very clear that “Dr. Cole is still a member of the board, a shareholder and she was not terminated from her position and after a tenured and successful career of over 40 years with Citizens Bank, she simply resigned.” He also indicated that it was indeed true that Dr. Cole quietly vacated her office on a Saturday morning, and promptly notified him by email and tendered her resignation. As a consummate professional known for her social consciousness and awareness, she also submitted the list of typical belongings that any employee would turn in after vacating a position by leaving everything in his desk drawer. With over 30 years on record with Citizens Bank himself, Chairman Manson acknowledges there were no prior discussions, no warnings, no animosity and certainly no trouble for the bank or Dr. Cole in advance of her shocking resignation. Chairman Manson replied, “Our fiscal year ends December 2018,” when the Tribune asked if the resignation was possibly due to the upcoming July 2018 fiscal year-end and if some financial discrepancies may be found in the records. He again stated clearly and firmly that “Dr. Cole is still available and remains a part of the Citizens Bank family and her merit based position was performed exceptionally well to the end.” Chairman Manson indicated the bank is moving in a positive direction and that sometimes change is good. He said in his own words, “There is nothing that will be revealed as the result of an audit or review to indicate that anything was done improper to Dr. Cole by Citizens bank and Dr. Cole did nothing improper in her position.” He further went on to clarify and also make it clear that “Dr. 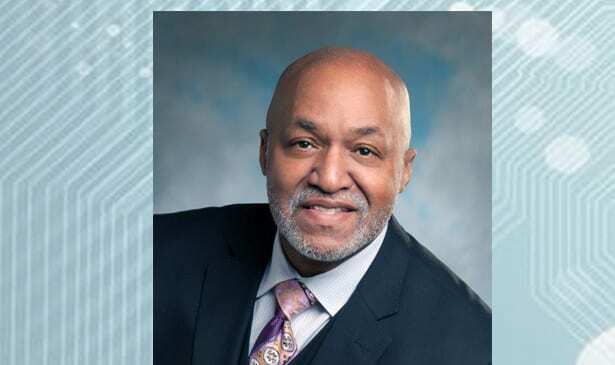 Cole did not breach any contractual obligations or anything of the sort and neither did Citizens bank.” The overall message to the community is that Dr. Cole’s departure was on her own accord, amicable, on a positive note and her footprint of successful accomplishments remain. Her work as an ambassador in the banking industry and her programs with institutions such as Tennessee State University, the American Bankers Association (ABA), and her key role in building the religious banking models reflect her high standards of excellence. She is well thought of in the banking industry, the community and most definitely Citizens Bank. Citizens Bank has a succession plan in place and the interim President and CEO will be a 47-year banking veteran named Sergio Ora. Mr. Ora is currently the Chief Credit Officer (CCO) and will fulfill the duties of the position as Citizens Bank seeks the full-time replacement within the next 90 days through a nationwide search. Chairman Manson stated that “This too shall pass as the 104 year old institution has survived recessions, depressions and a lot of different struggles.” Citizens Bank will continue to focus on their loyal customers who they see as people instead of numbers as the bank stays consistent with their values and meets the customer’s needs. Chairman Manson indicated lastly that, “All eyes are watching, he knows they have to lead, deliver and serve and he anticipates incorrect reports to be forthcoming from other press outlets.” Chairman Manson closed the interview by stating that all inquiries on this issue will be referred to the Tennessee Tribune and no further statements will be issued.